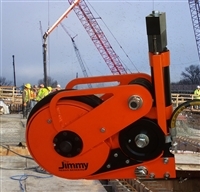 The JIMMY Portable Hydraulic Rebar Benders allow you to Field Bend rebar on your jobsite. Piles, caissons, footings, walls, decks having straight bar needing a new angle can be bent in-place using our equipment. Costly bar-splicing can be eliminated and that expense can be applied elsewhere or dropped to your bottom line. 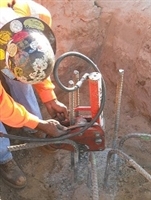 Safe bending of rebar with the JIMMY replaces the difficult and time consuming effort of hickey bars. 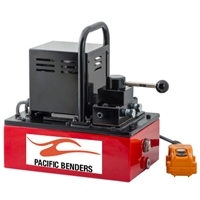 The JIMMY Rebar Benders have been a revolution in onsite cold bending since 1998.